Does it get any better than this? Fresh snow covers the trail on Lumpy Ridge and not another soul is out and about. 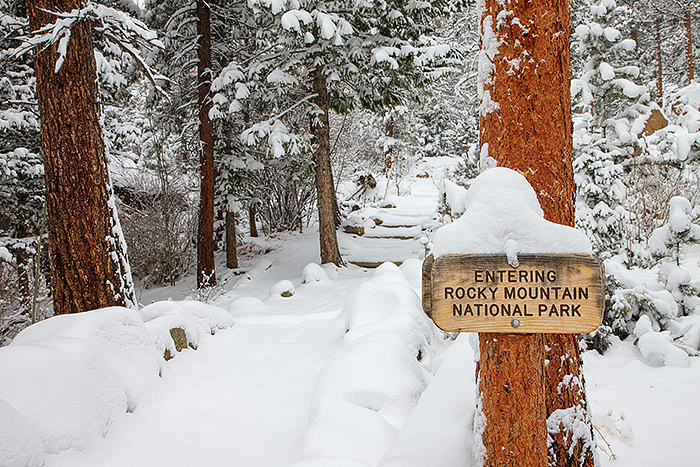 It's time to slap on the snowshoes and be the first to break trail on this beautiful morning in Rocky Mountain National Park. Photo © copyright by Thomas Mangan.